Superpower: Can dance until the sun comes up! I work with a great bunch of people, always looking for new ways to showcase all things related to Japan for the Australian public. 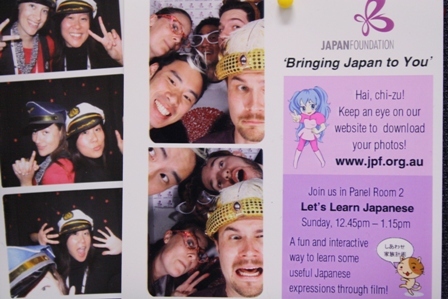 Our motto is ‘Bringing Japan to You’ and that’s what we strive to do, so even if you can’t afford the ticket to Japan, you can still be a part of Japan through us! Our office is located in a very corporate building which is a bit fancy but the best thing is that we have two great Japanese restaurants within 100 metres of us. You can also walk to the harbour, the Opera House, and botanical gardens with ease. In Summer, some of us laze in the park at lunchtime making it tough to go back to our desks! So that’s enough form me for now. I’ll be back next time with some latest event information from Sydney….think it will be about the up coming anime and manga convention. Stay tuned!